When I was at school, I learnt strain means relative change in shape in sixe implies that it is dimensionless and has not units. Stress on the other hand has dimension of force per unit.or.less often force per unit length. Their relation was summed up by the Hooke’s law that said stress is proportional to the strain. But somewhere this has escaped from the dungeons of physics to reside in the vast ocean of humanity, by re-inventing itself in language. Today it has become a part of our life despite being difficult to define. Till 1920 this word which is a form of the Middle English destresse, derived via Old French from the Latin stringere (to draw tight) was confined to physics. In 1920 the word tried to manifest into its true potential by making stray entry into the world of Biology and Psychology, today it is so omnipresent. 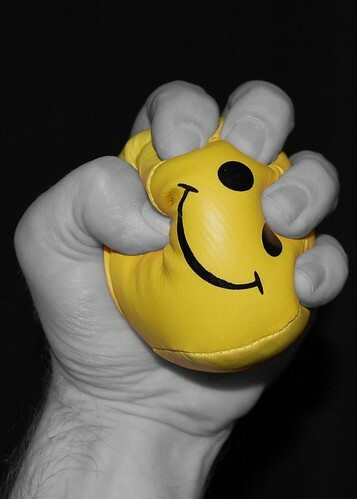 Stress has re-invented itself to become so abstract that it can satisfy both cause and effect definition, and can be both tangible and intangible, this is strain is enough to elicit stress. Look at this Natalie Goldberg says stress is an ignorant state, it believes that everything is an emergency. Stress is the trash of modern life and we don’t properly dispose off what we generate it will pile up and overtake our lives. Its not a reaction, it is the price we pay for the “civilized life”we live, I wonder about being civilized though. Like Maureen Killoran observed, stress is not what happens to us, its our response TO what happens, and RESPONSE is something we can choose. In most cases stress is the root cause of death;illness is just the wrap up. Sara Paddision is right when she says stress is the inner biofeedback,signalling to you that frequencies are fighting within your system. The purpose of stress isn’t to hurt you, but to let you know it’s time to go back to the heart and start loving. Seriously, a man who doesn’t relax and hoot a few hoots voluntarily,now and then, is in great danger of hooting hoots and standing on his head for the edification of the pathologist and a trained nurse, a little later on observed Elber Hubbard how right. As for me getting stressed, there cannot be a stressful crisis next week, my schedule is filled with de-stresses. After all stressed is but desserts spelt backwards.